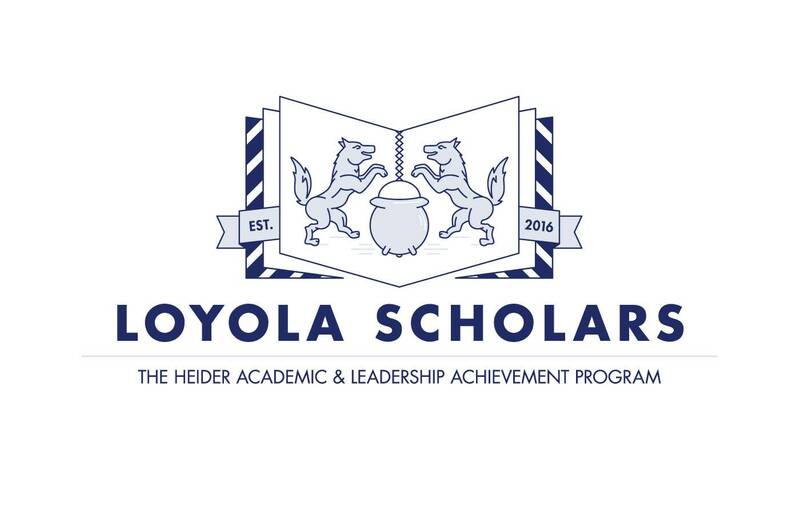 Creighton Prep approached Iridian to create the identity and collateral for their new Loyola Scholars Heider Academic & Leadership Achievement Program. The program is targeted toward young males in the Omaha metro area who are academically talented, have leadership potential, and whose households have significant financial need. Through nurturing gifts of the mind and spirit, Loyola Scholars strives to form young men of Faith, Scholarship, Leadership and Service. Iridian was able to address all of this and create a mark that is a true visual representation of the Loyola Scholars mission. In the logo mark, a traditional take of the Loyola wolf and kettle, representing generosity and service, is combined with an open book. This creates a scholarly crest, representing academic achievement and learning while symbolizing that Creighton Prep's doors are open to all students. The mark is also made up of several triangular shapes subtly referencing the Holy Trinity – illustrating how Faith is a building block for all Loyola Scholars. 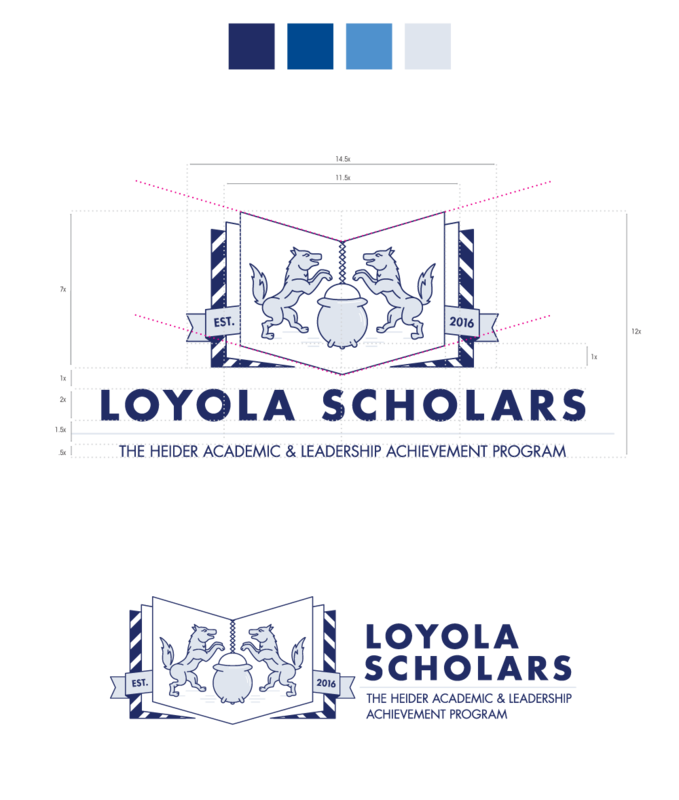 The single-weight line drawing resembles that of the line quality used with the Creighton Prep seal, and when combined with the typeface and Prep's traditional blue color, all create a visual association between the Loyola Scholars and the Creighton Prep brand.